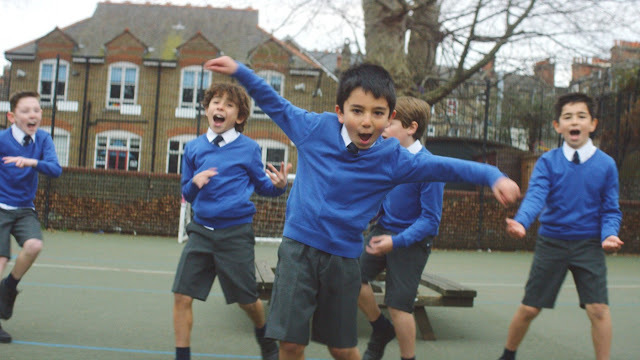 The new spot for Vodafone’s tie-up with Spotify broke recently, the ad features the dancing schoolboys from our their 4G ad last month and runs on TV (including during the Britain’s Got Talent final) and online. The five breakdancing schoolboys from Grey London’s first Vodafone UK ad, are being given the chance to show off their moves to promote the Spotify Premium service on Vodafone 4G. To build on the proposition that Vodafone 4G allows you to live life more boldly, the children are seen throwing some impressive dance moves in the playground, which they choreographed themselves. The campaign will incorporate TV including spots during Britain’s Got Talent finals week, OOH including the Sound Shower at Westfield White City, behind the scenes content on social media and online. Grey London was appointed to the Vodafone UK roster in March 2014 before being named lead creative agency (following a closed pitch against RKCR/Y&R) in February 2015. The agency also works with Vodafone Ireland (since 2011) and Vodafone Global (since 2013).